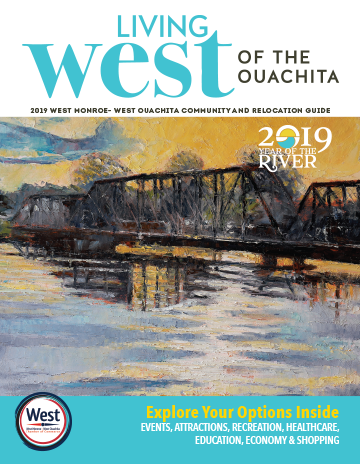 The West Monroe-West Ouachita Chamber of Commerce is a membership-based organization that provides the needed resources for its members to remain successful and competitive in the marketplace. Chamber of Commerce members consist of businesses both large and small, non-profit organizations and individuals. These members are the driving force of the local business community. Members come together to learn from one another and work toward the common goal of making the West Monroe and West Ouachita area a vibrant place to live and do business. The Chamber of Commerce began in 1956 when a group of West Monroe business and community leaders led by Mr. A. O. Evans began meeting to discuss the organization of a West Monroe Chamber of Commerce. Under Mr. Evans' leadership, the West Monroe Chamber of Commerce was chartered on March 31, 1956. Mr. Evans served as the first President of the Chamber, and George E. Wylie served as the first executive employed by the Chamber. The Chamber's first banquet was held October 16, 1956, and the Chamber has held an annual banquet each year since that time. 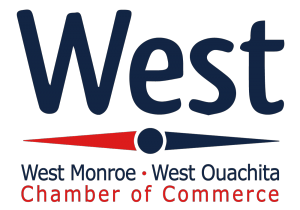 Due to the tremendous growth in population throughout West Ouachita Parish, the Chamber's Board of Directors voted in 1986 to change the name of the Chamber to the West Monroe-West Ouachita Chamber of Commerce. Over the years, the Chamber's strength has been demonstrated in many ways - the continued economic development of the region, the steady population growth in West Ouachita and quality educational system. The Chamber of Commerce staff and Board of Directors will continue to provide members with opportunities to network, expand business skills and learn more about the resources available in Northeast Louisiana. If businesses are not Chamber of Commerce members, we encourage them to visit with our staff and learn more about the ways the Chamber can strengthen their business. Your investment in the Chamber of Commerce is an investment in the future growth and development of your community.